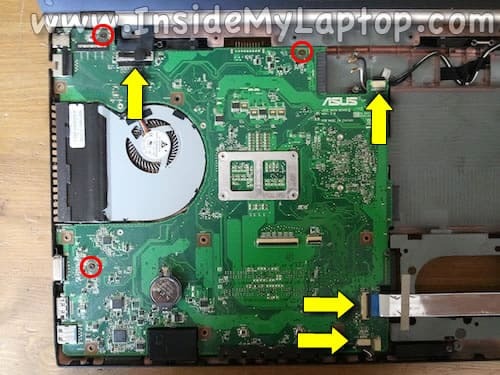 In this guide I will explain how to disassemble an Asus U56E laptop. 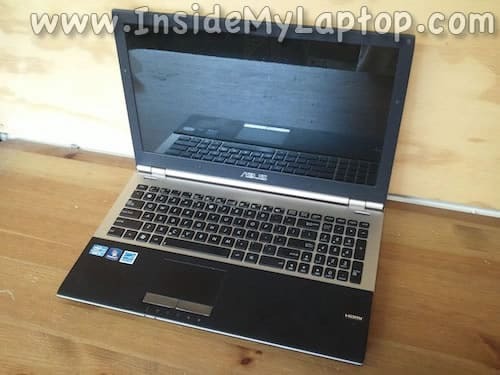 In my case the model number is: Asus U56E-BAL7. Make sure it’s turned off. Remove three screws securing the service cover on the bottom. Under the service cover you will find the hard drive and both RAM modules. Pull the drive to the left and remove it. I am using a guitar pick to separate the top cover assembly from the bottom case. Start removing it in the palm rest area. Lift up the top cover as it shown on the following picture. Be careful, there are two cables connecting it to the motherboard. The top cover is mounted under the hinge cover. 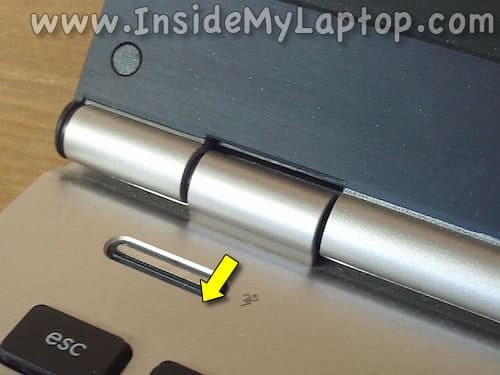 Push on the hinge cover with your thumb and pull the top cover away. When you install the top cover back in place you’ll have to push it under the hinge cover first and after that the rest. Before you remove the top cover/keyboard assembly completely, you’ll have to disconnect two cables. 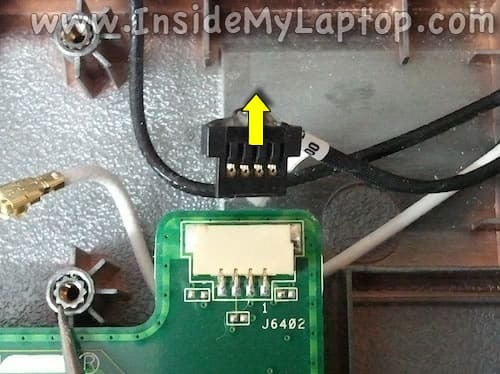 First, unlock each connector by lifting up the cable retainer (green arrows). Second, pull both cables out (yellow arrows). 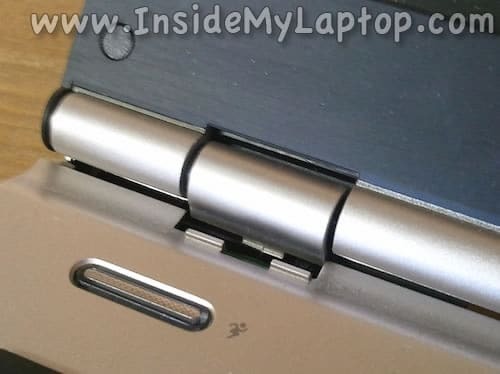 On the following picture you can see both connectors in the unlocked state from a different angle of view. 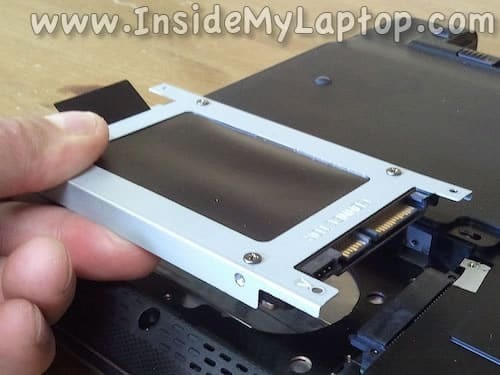 Now you can remove the top cover assembly completely. Here’s a view on the bottom side of the top cover. 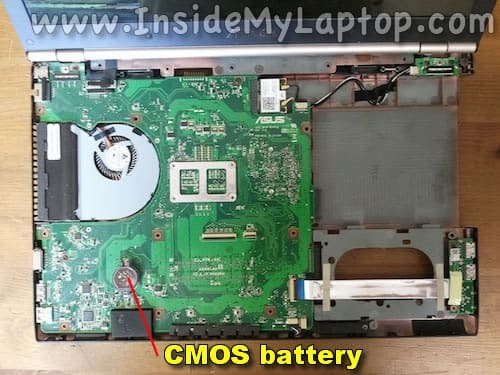 When the top cover removed, you can access the CMOS battery. 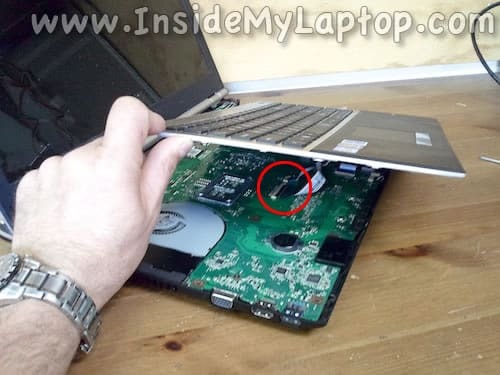 In order to remove the motherboard, it’s necessary to remove the wireless card first. Unplug both antenna cables from the wireless card. 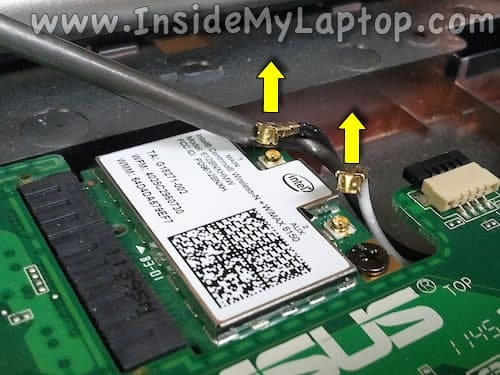 Remove two screws securing the wireless card and pull it out of the slot. 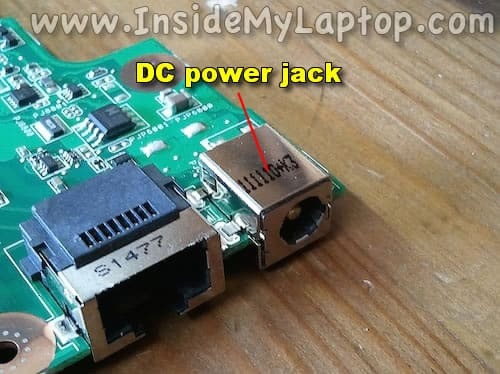 Here’s how to disconnect small connectors. 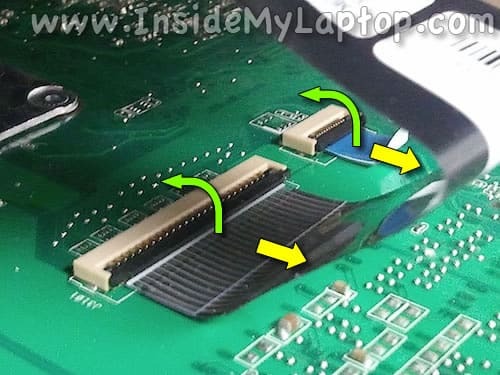 Simply unplug the male part connected to the cable from the female part on the motherboard. Do not pull by the wires. Unplug it by the edges on the male part. 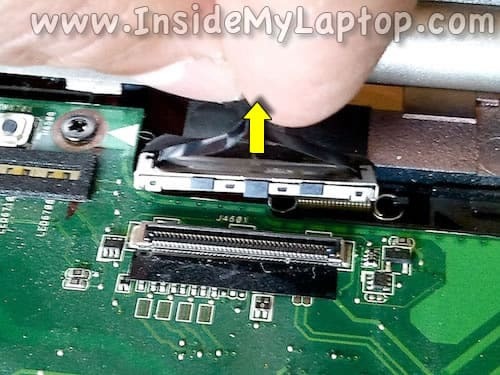 Here’s how to disconnect the display cable. Pull up by the black belt attached to the top of the connector. 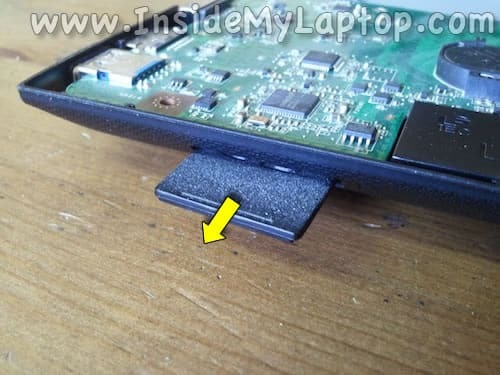 If you have a SD card or cover installed in the card reader, you’ll have to remove it. 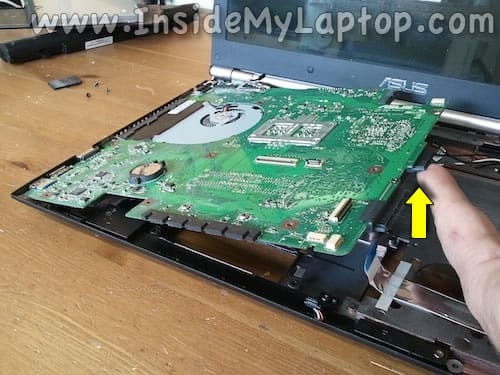 Start removing the motherboard from the laptop case as it shown on the following picture. Lift up the right side and carefully remove it. On the other side of the motherboard you can access the cooling module (heatsink and fan). 1. Remove three screws securing it to the motherboard. 3. Peel off the black mylar tape. 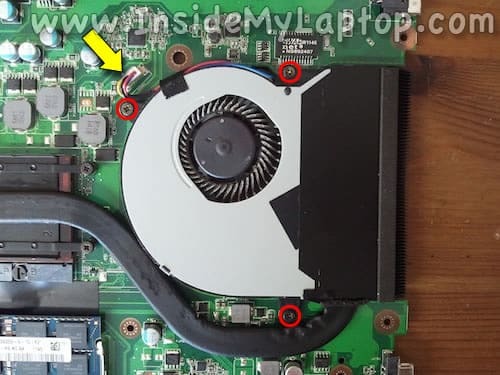 After that you should be able to separate the fan from the heat sink and remove it. 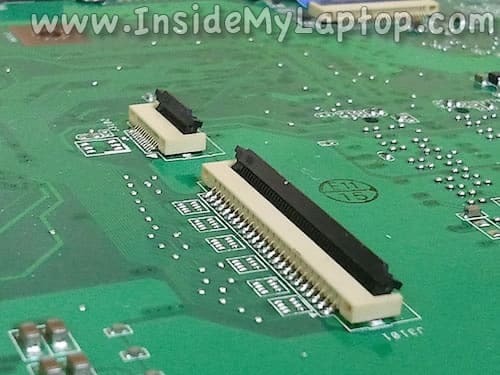 In Asus U65E laptop the DC power jack soldered directly to the motherboard. 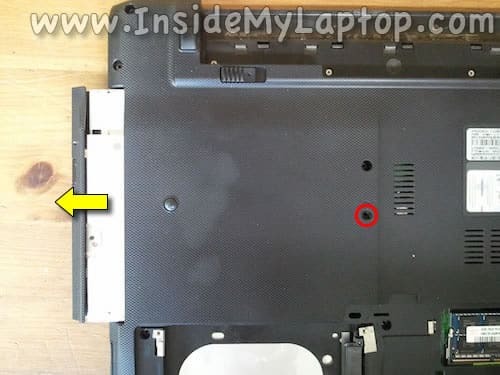 In one of the previous posts I explained how to remove Asus U56E screen. 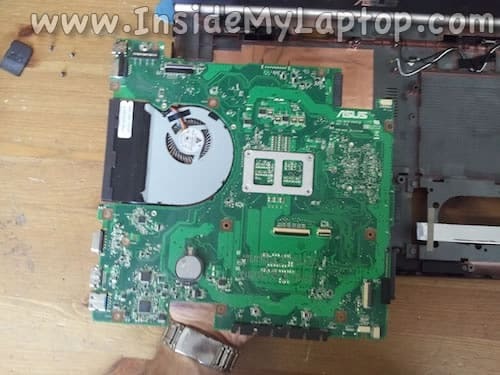 This did a great job of showing how to disassemble a U56e computer EXCEPT the part that I really needed, which was to show how to replace the keyboard. If anyone can help with this, I would be very grateful. Thanks! The keyboard is part of the whole top cover assembly. 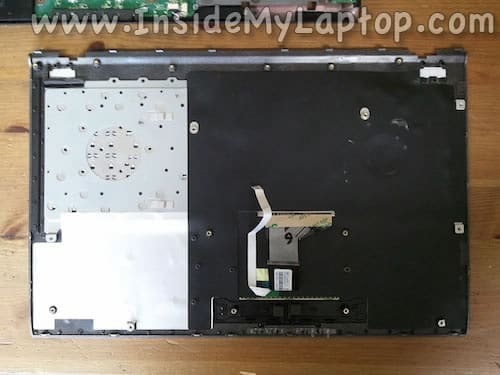 While it is possible to separate the keyboard (huge pain, will easily damage track pad or keyboard, not worth it), it would be best to purchase a new cover assembly that is complete with keyboard. All that is involved in the actual replacement is removing the old, up to Step 12, then insert and connect the new assembly’s two ribbon cables. 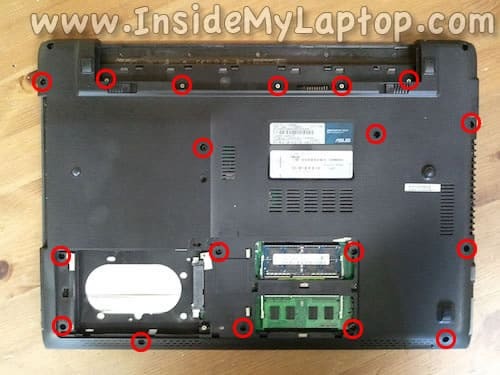 From there, work backwards and reassemble the laptop. I replaced just the keyboard. 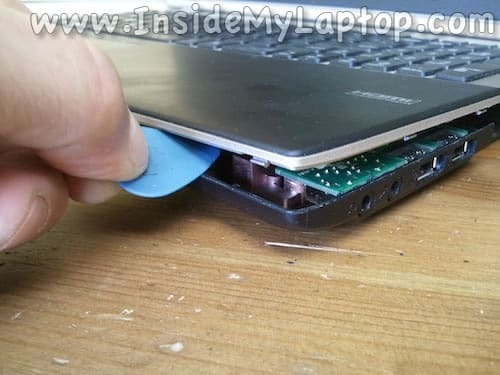 Major pain in the A… This is one of the only laptops i have ever seen with a keyboard that is riveted in place. In order to do it you need to pop out the rivets one by one. I used a small but long metal screwdriver to pry each rivet off. Then I used a hot glue gun to re secure the rivets. Make sure to only put glue in areas that will be covered by the static cover (the large black sticker) just in case it gets really hot and the glue runs. works and looks good, no problems, not worth the $25 i saved, not at all. I replaced just the keyboard. 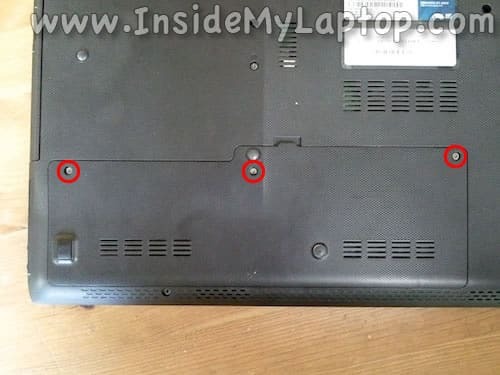 Major pain in the A… This is one of the only laptops i have ever seen with a keyboard that is riveted in place. Then I used a hot glue gun to re secure the rivets. 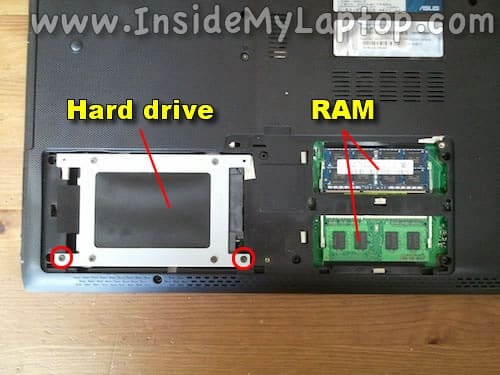 Wasn’t it possible to use small screws like I did in this guide? When you remove the keyboard on a MacBook Air you have to break multiple rivets but it’s possible to use micro screws instead of rivets. 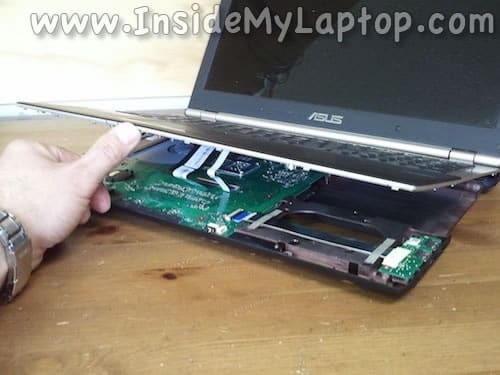 Not sure about if you can do that on an Asus laptop though. I was trying to get info about how to replace the mouse touchpad. Is it glued to the palmrest ? For some reason in step 2 I can’t get the cover to lift off after I’ve removed the three screws. Any ideas of what I can do? 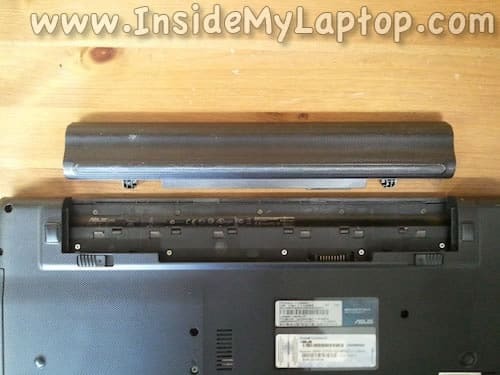 I know this is an older article, but I’m hoping you still read these.. How do you peel off the black mylar tape without completely shredding it?? I peeled it as carefully as I could and it looks like crap now. Is it absolutely necessary? If so, where can you get it? Thank you so much for this guide, I was able to change my old Centrino+WiMAX MiniPCI to a newer AC 7260.